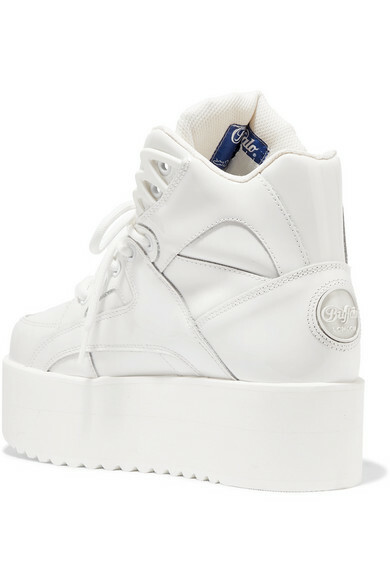 Junya Watanabe styled so many Spring '19 runway looks with these chunky high-top sneakers, which are designed in collaboration with iconic '90s label, Buffalo London. 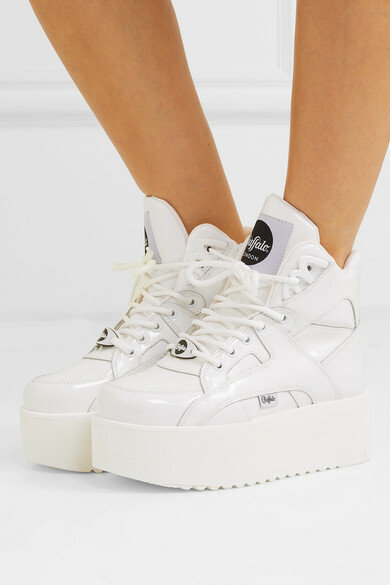 They've been made in Spain from glossy patent-leather and have thickly padded tongues branded with the latter's moniker. The two-inch ridged platforms gives you added height and look great with cropped jeans and midi skirts. Shown here with: Christopher Kane T-shirt, Loewe Skirt, JW Anderson Shoulder bag.